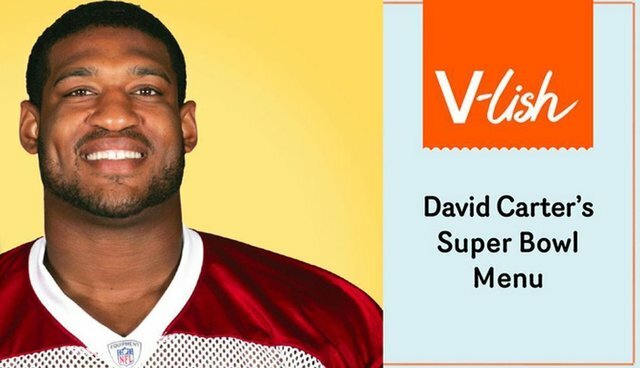 David Carter is an NFL defensive lineman and a 300-pound vegan. Where does he get the energy and stamina he needs to play hard? Carter credits his plant-strong diet. Even in the off season, he enjoys meat-free meals to make the world a better place for animals. David shared with us his top three favorite game day snacks to put on the menu for your Super Bowl party! 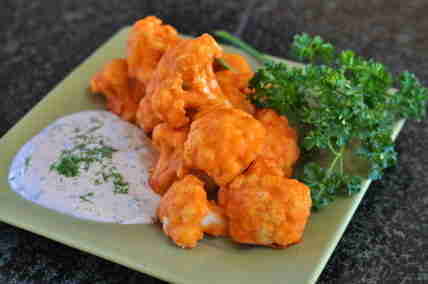 This is an awesome Buffalo Cauliflower Wing recipe that hits the spot every time. Not to mention cauliflower contains a high amount of antioxidants and vitamin B's. Finger licking good! In a medium bowl, stir together the vegan sour cream and jalapeño peppers. Set aside. 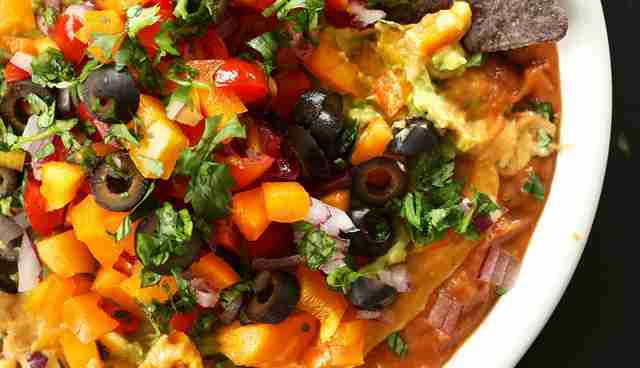 Follow this by layering on the mashed avocado, tomatoes, and salsa, then spooning on the vegan sour cream/jalapeño mix, and finally topping with olives and/or green onions. Additional avocado slices can, and should, be placed on top. And I serve it immediately because I usually cant wait, with my favorite tortilla chips, Garden Of Eatin Organic Blue Red Hots. 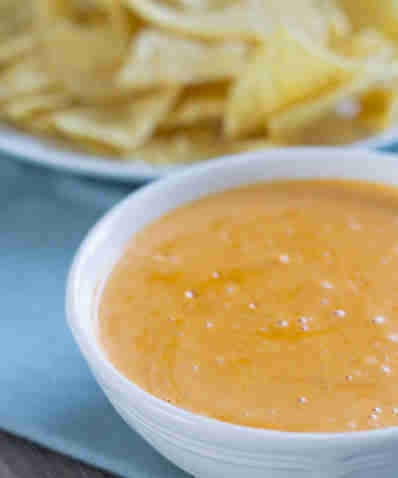 This is the only way I eat queso. It's a super delicious way to pig out on healthy carbs and get important Omega 3s. I have to admit I don't do any measuring for this recipe (it just depends on how hungry I am) but not to worry its really simple and fast. I just throw all the ingredients in my Vitamix and add according to your taste. There's no real way to mess this one up, which is why it's the only thing I cook in the kitchen, haha.